One more week until summer break for our family. Just 5 more days of school for our kids! Today I will be going along on a field trip with our 4th grader to several businesses in the area as part of our JUNIOR ACHIEVEMENT lesson. Then next week is full of Talent Shows, Spelling Bees, and another field trip. Today was the senior’s last day of school with graduation being held on Sunday. Yes, school is coming to an end. Usually as summer rolls around, I have some anxiety. The kids will be home most of the time! I have to FEED THEM 3 MEAL A DAY! There will be daily/hourly arguments between them. I will have to battle the constant, “I’m Bored, Mom” complaints. The house will be messier. The grocery bill higher. But, then I realize the upside is all the baseball games, the theatre camp, the show choir camp, the football camp, the basketball camp, the family time, and the 2 week vacation. Before we know it, school will be starting again. We only have 82 days of summer and it will be over before we know it! Next week I will share some thoughts on how I prepare for our summer and how I try to stay (somewhat) sane with 3 kids in the house! I am going to cherish this last week (even though I have to work) and prepare my house and my mind for summer! 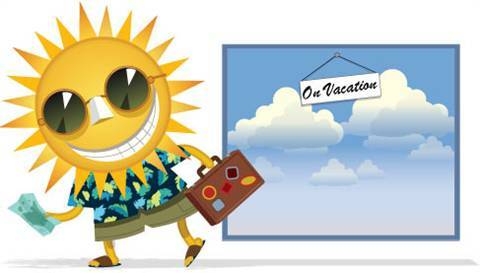 I just love summer vacation…sounds like you will be one busy momma! Stopping by from Mom Loop! I can't believe summer is almost here!